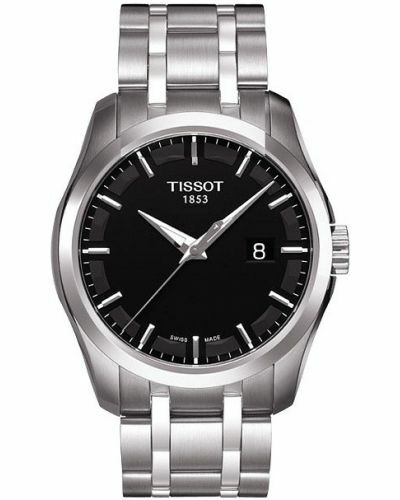 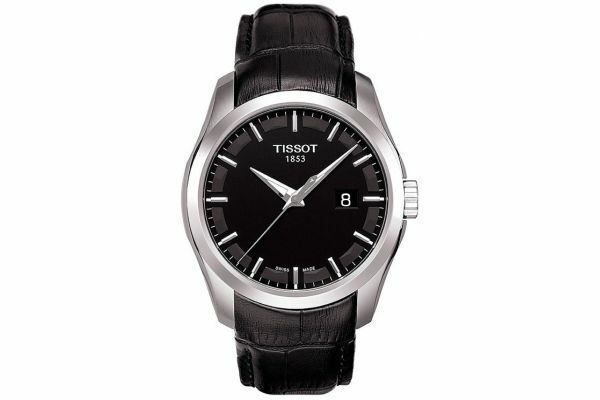 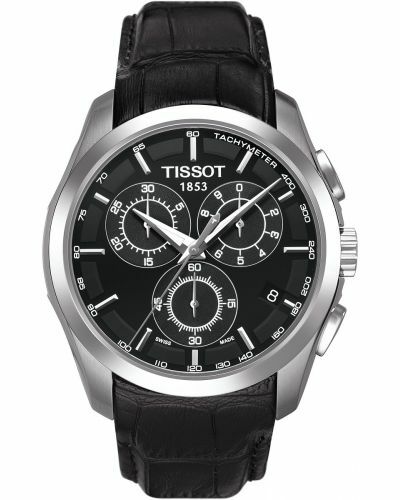 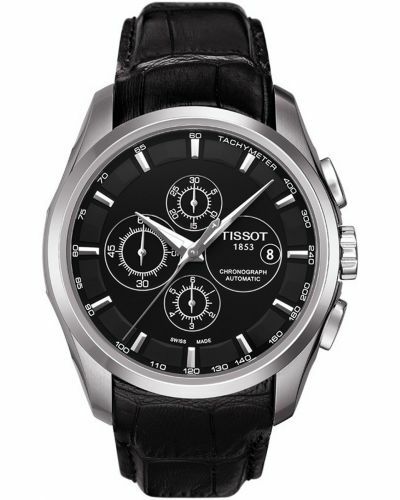 The handsome and chic black dial features simple baton markers, hour hands and a date display. 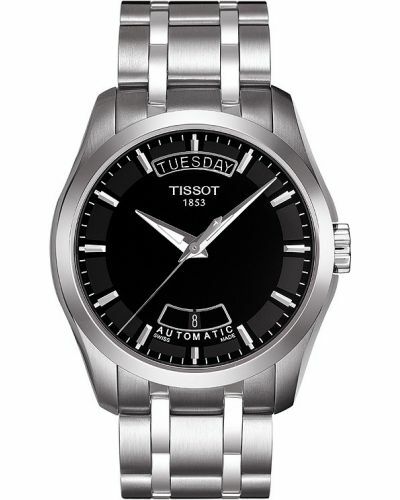 With the stainless steel case leading down onto the thick black leather strap, it gives the watch an integral feel which sits beautifully around the wrist. 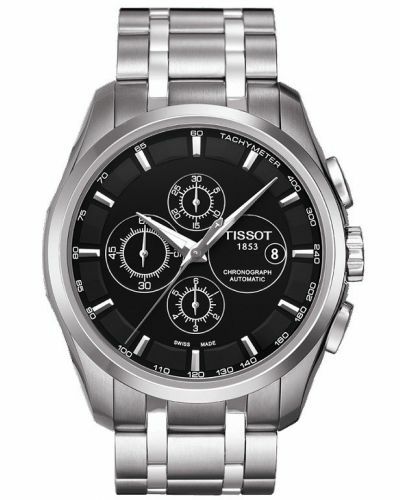 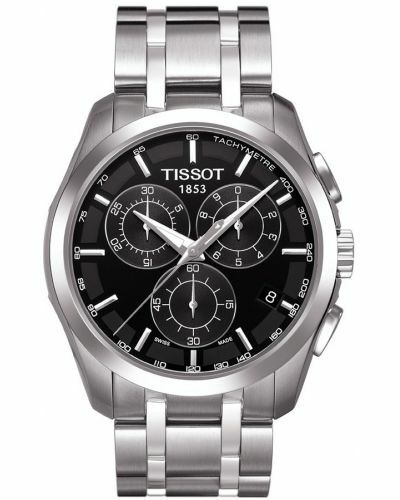 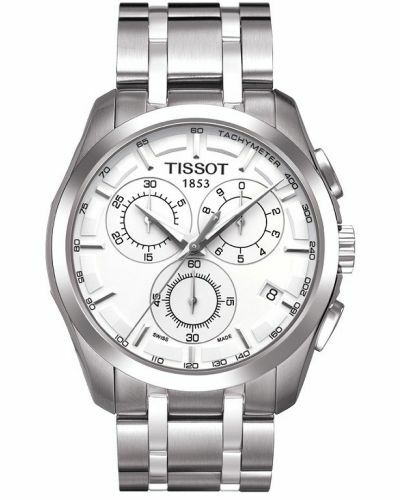 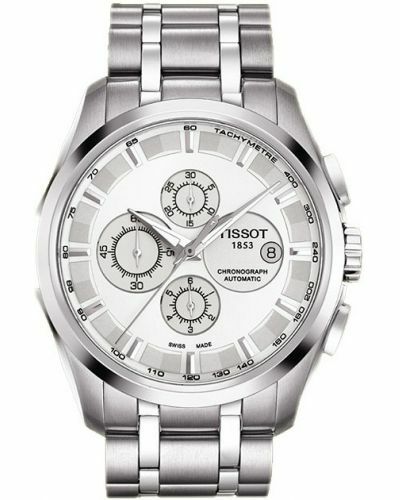 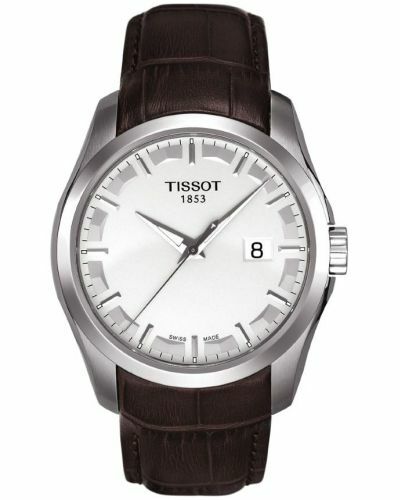 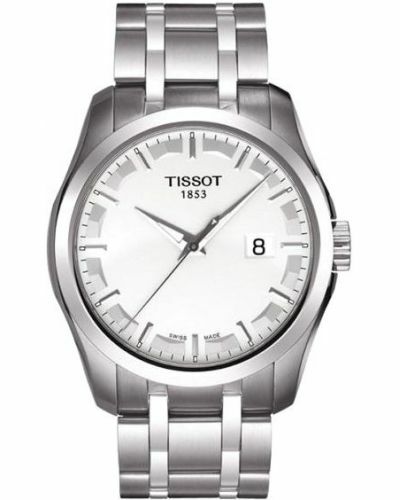 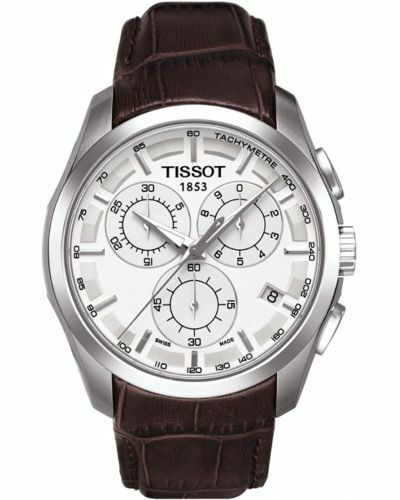 The sapphire crystal glass and Swiss movement gives the watch quality as well as style.